You can see your latest heart rate measurement directly from your Steel HR. To do so, simply press and release the button to go through the screens until the heart rate screen is displayed. Note that going to the heart rate screen will trigger a new heart rate measurement. If you want to see the full history of your heart rate measurement, you can log in to the Health Mate app. If you wear your Steel HR every day, you will receive an average heart rate item in your Timeline. This heart rate item shows your heart rate average and your different heart rate zones during the day. 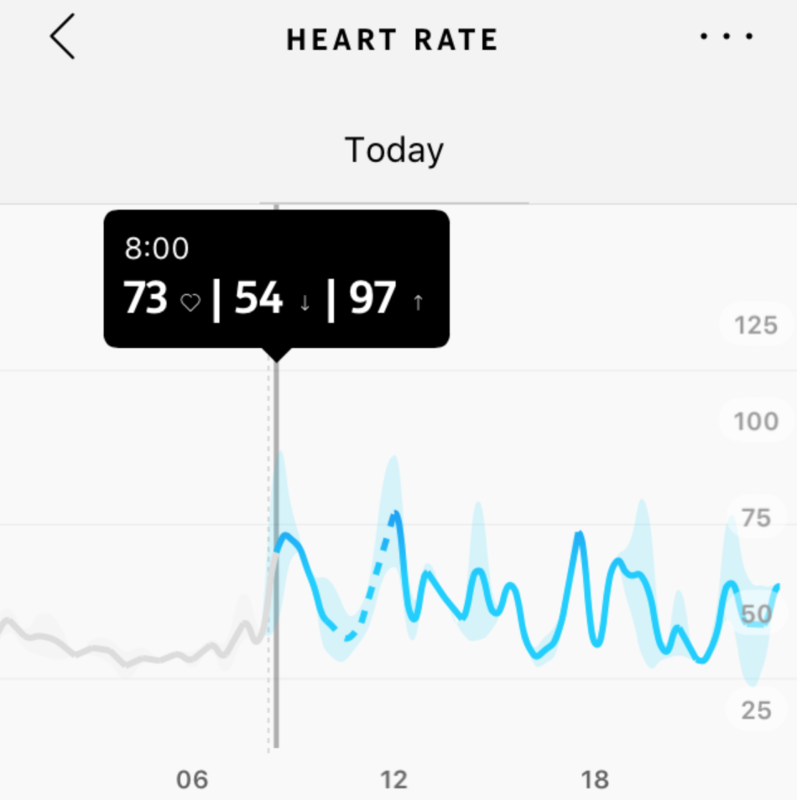 If you notice that your heart rate graph line is dotted and not solid, please make sure that you wear your Steel HR properly (the dotted lines on the chart indicate gaps in heart rate measurement). Click here for more information. 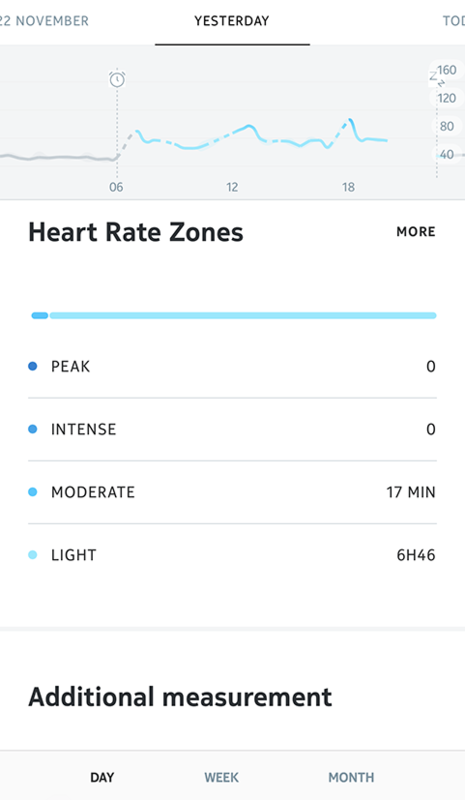 Note: If you launched the continuous heart rate mode, open the Health Mate app and tap directly on the activity for which you activated this mode to view your continuous heart rate graph. 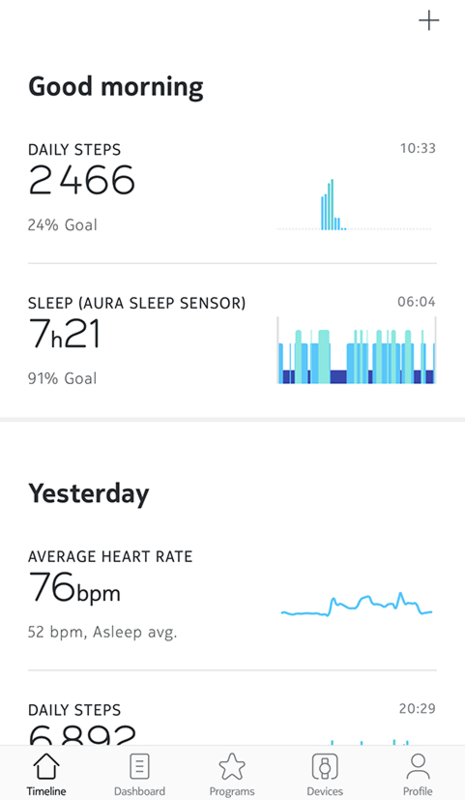 What is the light blue zone around the blue line of my heart rate graph? The light blue zone indicates the minimum and the maximum of your heart rate measured by the Steel HR. 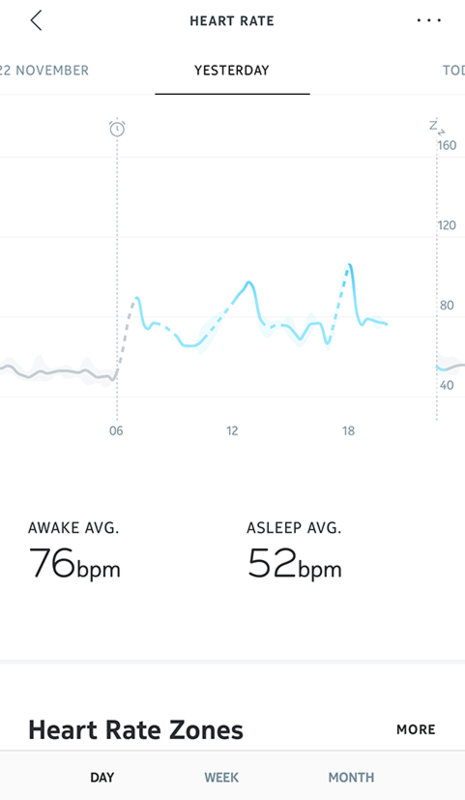 You can see the exact figures and the details of the measurement by tapping directly on the heart rate graph (time of the measurement, average heart rate, minimum and maximum heart rate). Partner Apps - What data is shared between the Health Mate® app and partner apps?